The focus in the Women’s Interprovincial Competition will fall squarely on the battle for final berths in the A and B Sections as the pool rounds reach a conclusion on Saturday and every point counts with a handful of teams still in the race. A Section log-leaders, Border, will book their sixth home final in a row if they come away with a win or draw against the struggling Free State in Bloemfontein, while Western Province and Eastern Province look set to go head-to-head for the other final berth in Port Elizabeth. Border will enter their clash against Free State as the favourites with a clean sweep of victories this season and bonus points in all but one of their matches – which is a vastly different picture to Free State’s season in which they conceded 38 tries in four matches and scored only one. With the home team facing relegation if they do not register a bonus-point win with a big score, they will enter the match with the mind-set that they have nothing to lose. 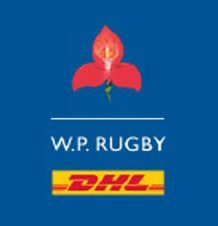 The clash between defending champions, Western Province, and Eastern Province is expected to be thrilling given the high stakes and the fact that the teams are closely matched on defence. The Capeonians have been more effective on attack, with 43 tries scored to 17 by their counterparts, which they will want to capitalise on to work their way onto the front foot. And in Durban, KZN and the Blue Bulls will be playing for pride and to keep off the bottom of the log when they meet. Both sides have only won one match so far, but the Blue Bulls will have to tighten up their defence to keep alive hopes of a victory as they have leaked 10 more tries in their four pool matches. In the B Section, the top team in each group will meet in the final, and with three teams on the same number of log points, the scramble for places will also come down to the wire. Group 1 log-leaders, Boland and SWD, will meet in Grabouw in a winner-takes-all clash, while Group 2 log-leaders, the Golden Lions, will target a victory against Limpopo in Polokwane to ensure that they advance to the final for the third successive season. In the other match, the Leopards will meet the Pumas in Middelburg, but with the Potchefstroom team 73 points behind the Golden Lions on points’ difference, they will have to deliver a cracker of a performance to overtake the Gauteng side on the log – even if they suffer a defeat without a bonus point. The finals will be played on Saturday, 29 September, with the B Section final serving as a curtain-raiser to the A Section final at the same venue.